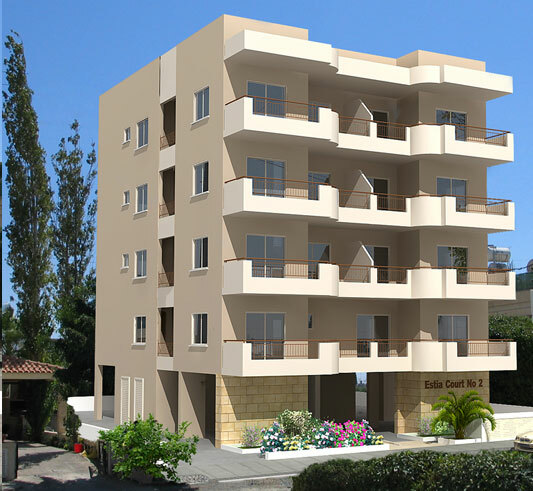 The building is an apartment block located in the residential and quit area of Katholiki area with all facilities and amenities nearby, less than 3 minutes west of main Limassol town centre. The project consists of 9 apartments with perfect functional layout and architectural study. At ground floor they are stores for each apartment. Every apartment has own parking place. Second floor consists of two apartments of two bedrooms. Third floor consists of two apartments of two bedrooms. Forth floor consists of two apartments of two bedrooms. Walls will be decorated with ceramic tiles to door height of value € 10.00/m² and the remaining surface painted with three coats of emulsion paint. Wall of kitchen between the cupboards will be decorated with ceramic tiles of value € 10.00/m².